Sparrows on the site may like to delight gardeners, and they create additional problems. It depends on the period of life of these birds. 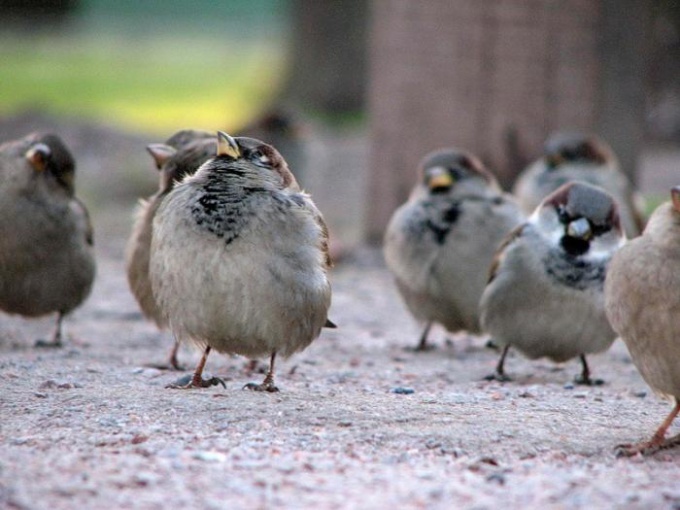 For example, during feeding, little birds, the sparrows rid the garden from insects, bugs and other pests. Unfortunately, the crop they nibble too. If a bird got into the habit of only one or a few fields, while others do not touch, pull the thread between the pegs driven into the ground. However, this adaptation can hinder you in caring for plants. If you want to improve the garden, use the grid on the frame. They can be used to protect not only the beds from the onslaught of sparrows, but also fruit trees. In the latter case, will strengthen the grid at the bottom so that birds could not fly on them. In addition, use of an acoustic device that purchase in the store. Such a device allows you to not only scare off sparrows and other birds, but also moles and voles. If you wish, you can make an acoustic device yourself. To do this, take the tin cans of lemonade or beer, cut-out, tape them and hang. When accented each other they will emit sounds that repel birds. Yes, and reverberating in a tin the ribbon, the sun creates unpleasant bird's eye glare. To scare away the sparrows hang on fruit trees the tapes from tapes garland or "rain", the rest of the new year. Surprisingly, the system works. So, connect the two poles in the form of a cross, stuff old clothes with straw and hang on the finished design. Now take the canvas bag and tab him the "face" of the Scarecrow. Use the buttons. Also fill the bag with straw. It remains only to decorate your "Scarecrow" to your taste and wait for the result. Of course, there are many other different devices that will allow you to get rid of sparrows in the area, but all of the above should be enough to forget about this problem once and for all.